I picked up this rather Dandy accessory from Campus WheelWorks after the Tweed Ride this weekend. 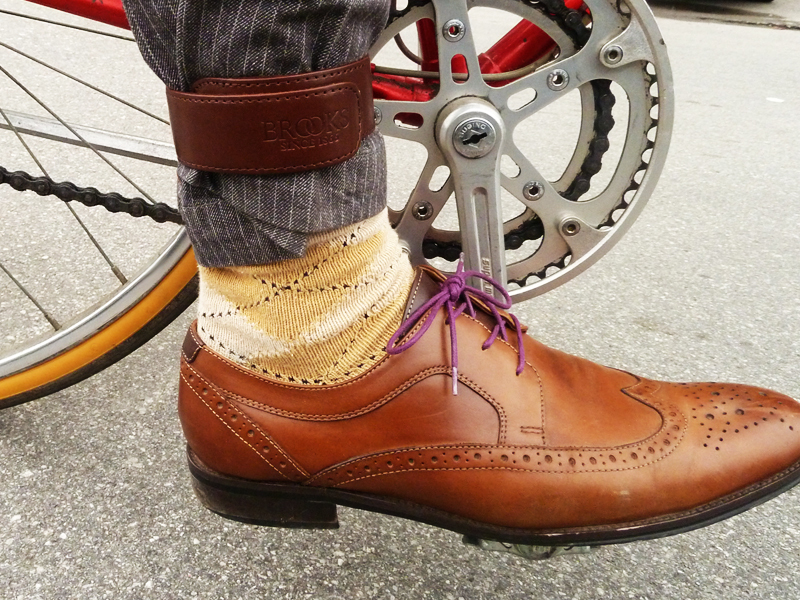 Truly for the Dandy cyclist who has everything, the Brooks Leather Trouser Strap helps the urban cyclist to fasten his or her trousers and prevents them from being caught in the chain ring. 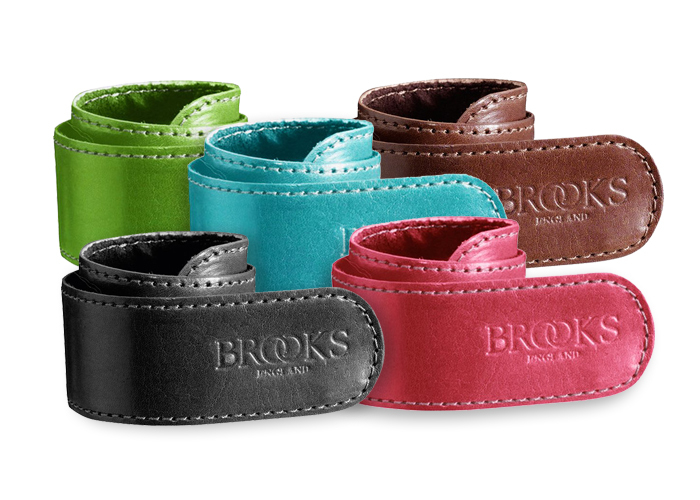 Mostly known for their leather bike saddles, the trouser strap lives up to Brooks’ high quality standards. The embossed leather is beautiful and works basically like the 80’s slap bracelets many of us had as kids, but with a suede backing for added comfort. I thought these were a great alternative to rolling up your pant leg or tucking your trousers into your socks, plus they come in a variety of colors and can always double as wrist band when not in use. These are really cool! Awesome post!